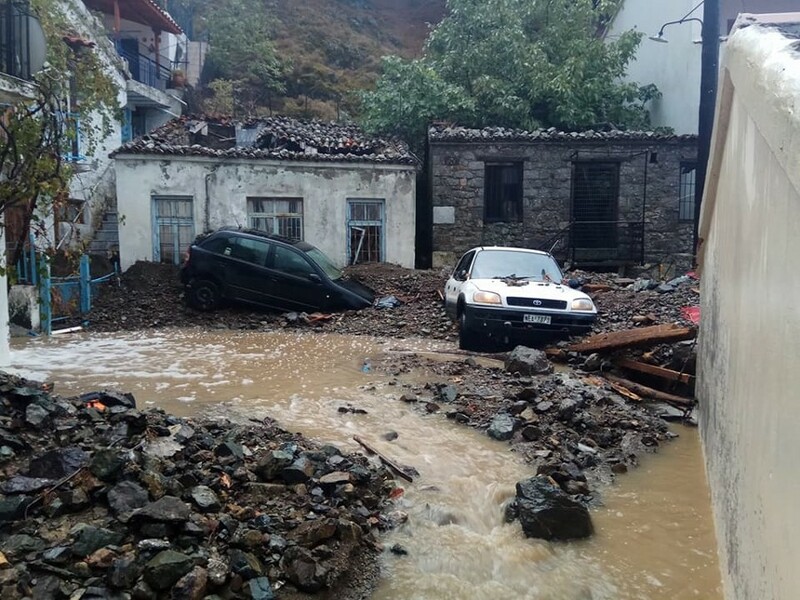 The people of Samothraki are still trying to put their lives in order, clear the rubble from their businesses and houses. 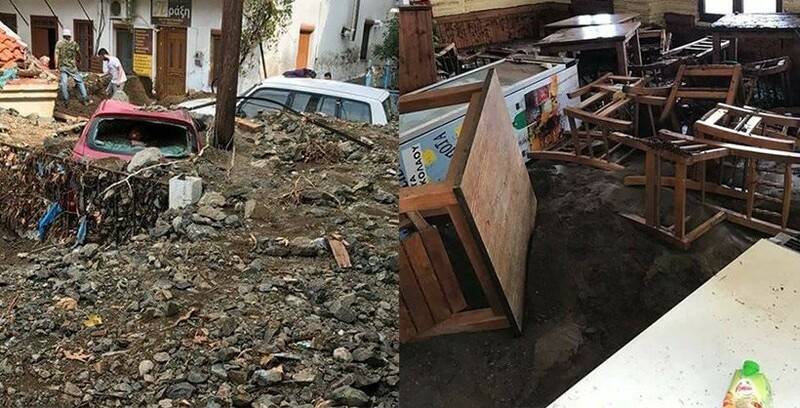 The damages that the island sustained from the extremely heavy rainfall all through Monday night had its toll on the properties of everyone there and on the infrastructure of the island. The Town Hall has been almost totally destroyed and the local health center has been damaged too. 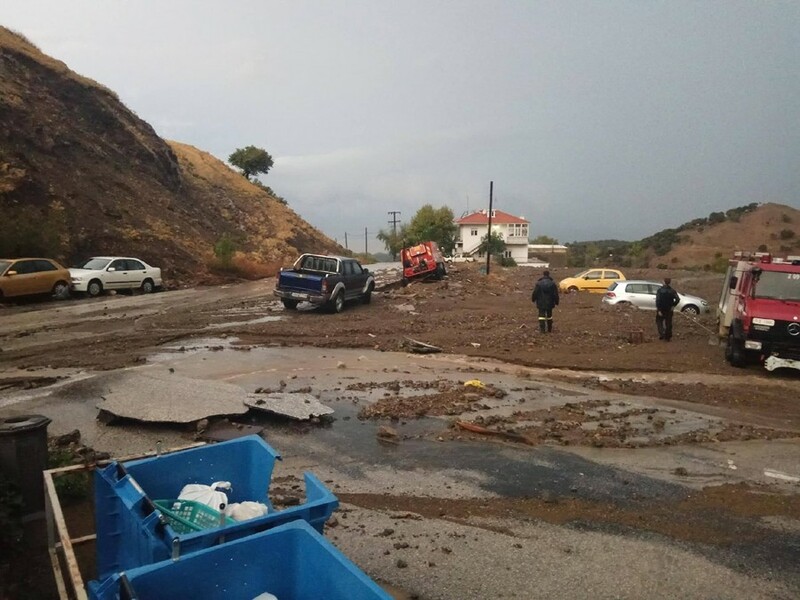 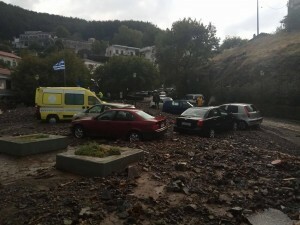 At the same time, western Thassos was also hit hard by the storm with landslides having caused problems in the road network and in its infrastructure. 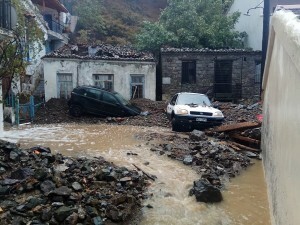 The disasters, especially in Samothraki, are incalculable. 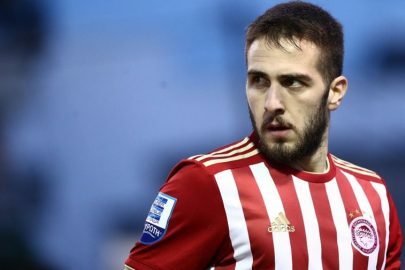 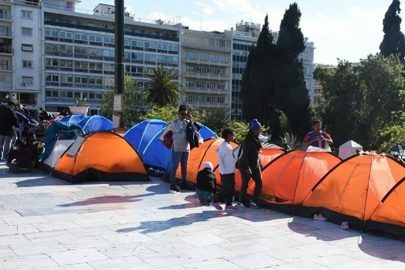 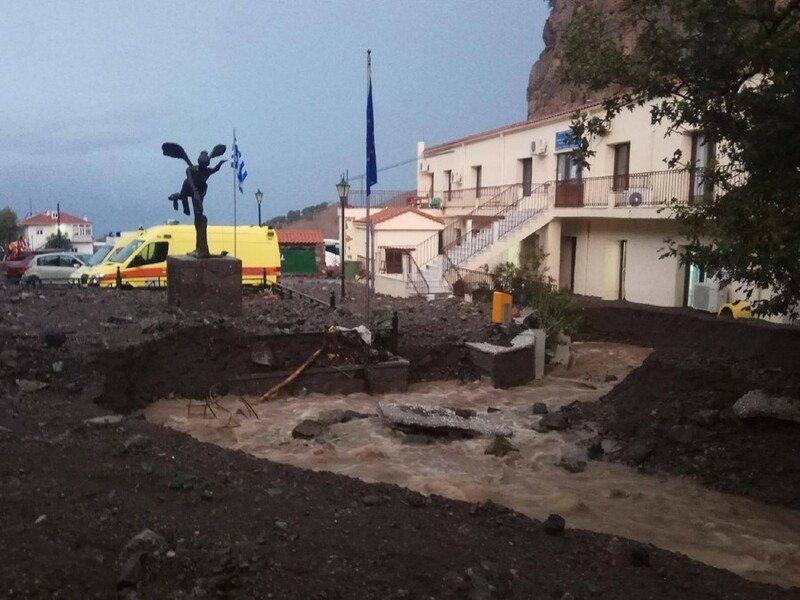 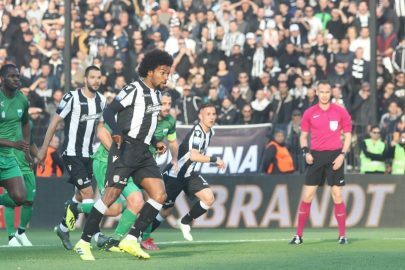 As the mayor Thanasis Vitsas says, “the mountain collapsed”. Moreover, the island faces a serious problem with drinking water, as the water supply network suffered serious damages. 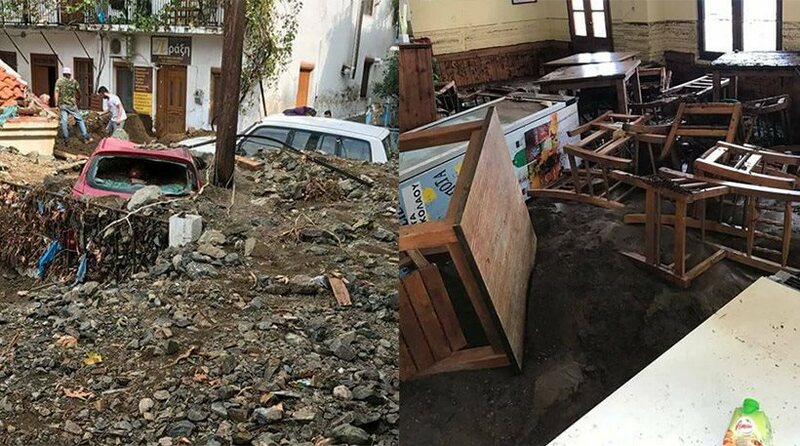 These are expected to be restored immediately and as a priority within the day, but again, the water will not be drinkable. 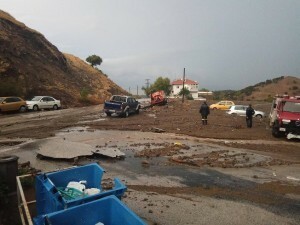 Because of the sludge that has entered into the network no one can guarantee at this time that it will suitable for drinking immediately.